Dr. Guojun Bu in his Florida laboratory. 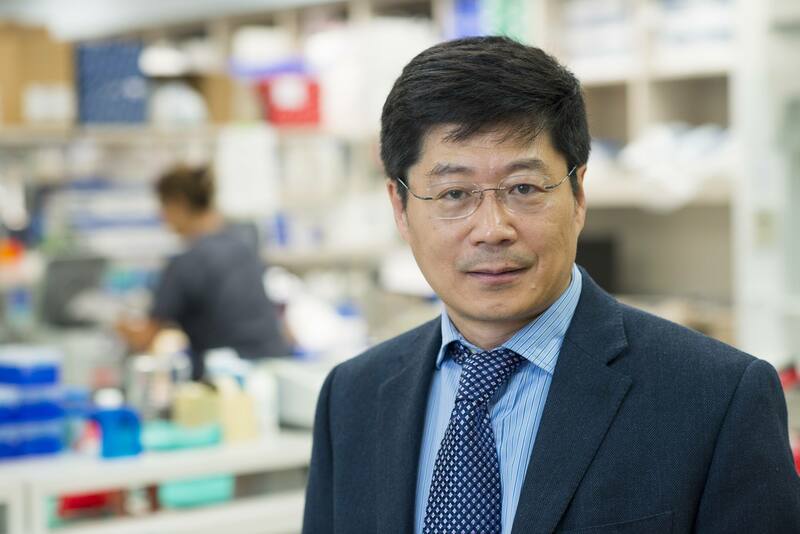 Neuroscientist Guojun Bu, Ph.D., Mary Lowell Leary Professor of Medicine, on Mayo Clinic’s campus in Florida, has been selected to receive the prestigious Method to Extend Research in Time (MERIT) Award. Granted by the National Advisory Council on Aging, the award provides long-term research funding to outstanding principal investigators who have demonstrated success on projects supported by the National Institute on Aging (NIA). The NIA MERIT award is given to fewer than a handful of researchers annually and offers up to 10 years of NIH support. “This is an honor that recognizes excellence in research and helps to ensure the continued success and productivity of his research program,” says Tushar Patel, M.B., Ch.B., dean for research on Mayo Clinic’s campus in Florida. Dr. Bu’s lab has a two-decades-long track record teasing apart the neurobiology of Alzheimer’s disease. His team has made headway understanding the mechanisms of the Alzheimer’s gene, APOE, and its high-risk variant, APOE4. 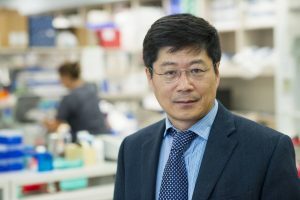 In recent studies, Dr. Bu described the role of APOE4 in impaired insulin signaling in the brains of Alzheimer’s patients. His team has also been focusing on understanding the cerebrovascular effects of Alzheimer’s, in particular determining how the disease reduces the brain’s ability to clear out deposits of the sticky protein known as amyloid peptide. His group recently identified “clean-up” cells in the healthy brain, responsible for removing toxic amyloid deposits, the main pathological component of Alzheimer’s brains. Funding from the MERIT Award will further his investigations of the brain’s natural clean-up mechanisms, as he focuses on the brain’s vasculature. 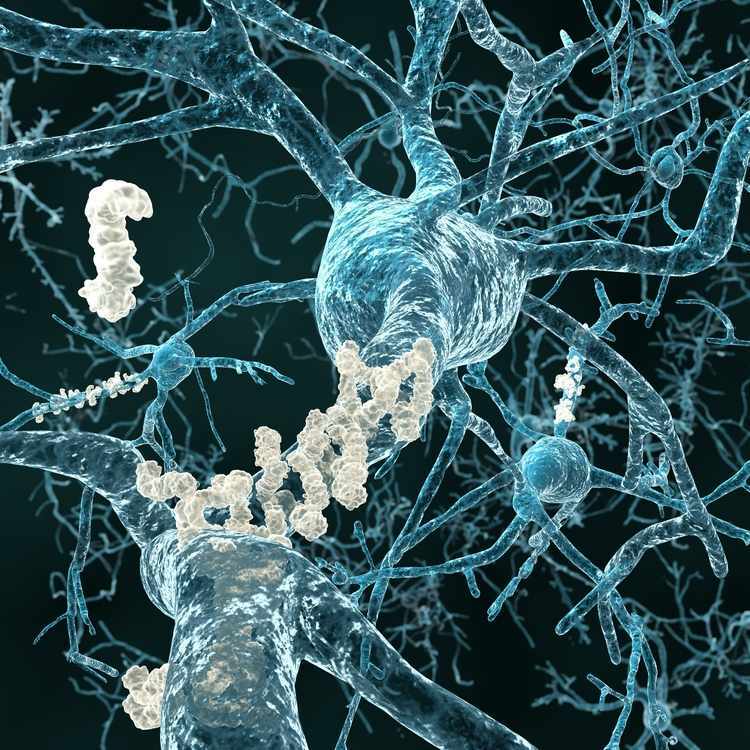 Studies will investigate the cerebral blood vessels, which remove accumulating amyloid protein, as well as drainage pathways that run alongside the blood vessels, and will look at the role APOE plays in the effectiveness of these amyloid clearance systems.